Like you, some nights (not many, but say one or two or three a lifetime) I find myself just browsing The Calvert Party Encyclopedia (1960 edition). It is “Your complete guide to home entertaining,” after all. Not to mention being,“the party book that gives you the power to please.” Now that’s power! But all joshes aside, it’s a better version than many company sponsored books (and worse than some as well), with a bunch of drink recipes including their products, and some others not, and some food ideas, and general party ideas and tips, and bar set up stuff. Not a bad little browser. And when browsing, I came across the Up-to-Date – maybe again? Maybe I’ve seen it somewhere else? I was intrigued, no matter which or what, and decided to give it whirl. In the book/manual/novella, it’s made with Calvert Reserve, but to keep it really up-to-date, I decided to sub out the Calvert Reserve (sorry Calvert! ), with the latest bit of WA-state deliciousness to show up at my house: Epic Sht Gin, from the fine folks at Cadée Distillery on Whidbey Island. 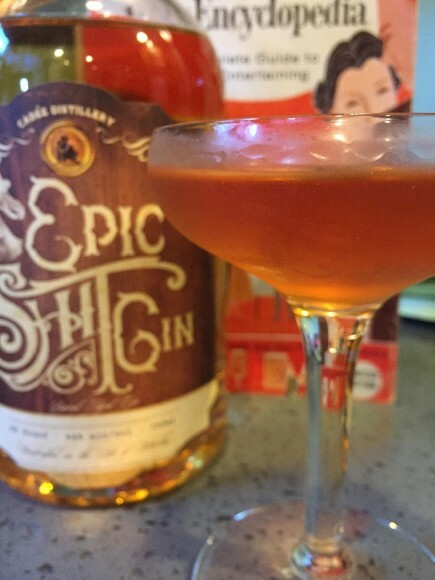 It’s not as big a switch as you might think – being that the Epic Sht Gin is of the barrel-aged gin variety, so shares a kinship with whiskey as you might imagine. It’s a nicely-layered number, with the botanical notes of the gin still there, but also notes of spice and wood and a little nuttiness from the barrel, with a vanilla undertone, too. 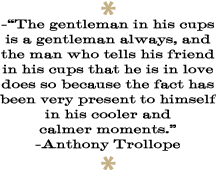 It’s not easy to get outside of the distillery as of this writing (but the distillery is well worth visiting), but hopefully by the time you’re reading, it’ll be more available. Also, its particular character I thought would go well with sherry – and I was right! Me and the fine folks at Calvert, that is! Try the below and see if I’m right (tip: I am). 1. Fill a cocktail shaker or mixing glass halfway full with cracked ice. Add it all. Stir in a party manner. Sometimes, writing about drinks takes its toll (well, not really, but it’s giving me a convenient out, and also reducing the grumbling about how awesome writing about drinks is). Recently, for example, I somehow forgot that I’d already had Diplomatico Reserva Exclusiva rum, before a bottle showed in the mail. See, my memory is failing! And I even wrote about it here on Spiked Punch. But seriously, the very distinctive bottle reminded that of course I’ve had it – it was, for gosh sakes, probably my favorite rum in a long time. It’s a molasses-based rum distilled in copper pot stills and aged for 12 years, and boasting an array of awards. If you haven’t had it, get it (if you’re in Venezuela, where it’s from, should be a snap – though it’s widely available, so no-one should have any problems). You’ll catch the complexity from the first smell, with caramel, nuts, orange peel, vanilla, nutmeg, and allspice all hanging together, and the taste, where they all come back together with a little more spice forwardness and just a hint of sweetness. Tasty. Tasty enough that if you’re not going to have it by itself, you should have it in a cocktail that really lets the rum shine. 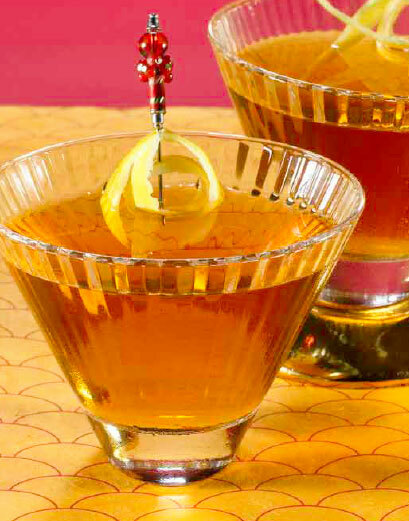 I went back to one of my old favorite books, Crosby Gaige’s Cocktail Guide and Ladies Companion, to re-discover a cocktail that has both a great name, and which lets rum take center stage: My Heart Stood Still. 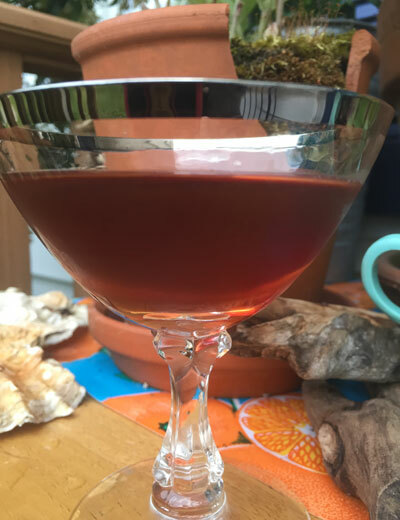 If you want to quibble (which is sorta sad for you), this is a rum Manhattan with a little heavier pour of vermouth, or perhaps some other things, none of which are named as lovely as the current name. And the drink itself is so lovely, too. 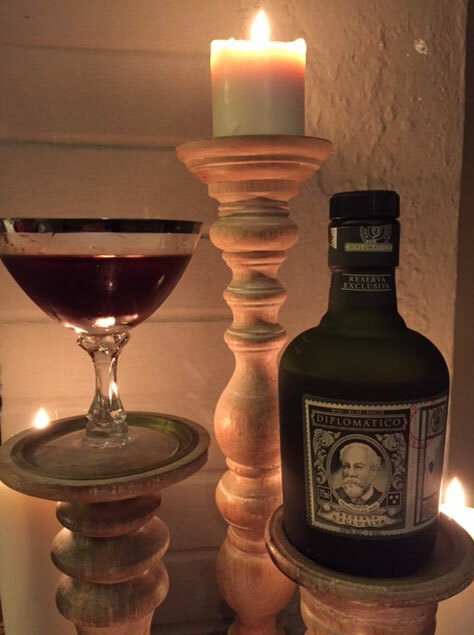 The Diplomatico brings so much, but the vermouth here – Martini Gran Lusso Italian vermouth, the 150th anniversary edition – also delivers a nice layered flavor to our heart-y party. Try it. Love it. Thank me later. 2. Strain into a cocktail glass. Savor and sip. Sip and savor. I know, I know, it’s the middle of August, hottest month of the year for most of us stateside, and so for many not perhaps the right time of year for a whiskey forward (very so, classically so) cocktail. These folks think that this should be a winter, or maybe fall choice, and they in some ways are right. But in other ways, they’re wrong. Exhibit A way: when you’ve received an absolutely choice bottle of single malt whiskey in the mail and decide you must have it in a classic drink. This, friends, is that exhibit. Or story. Or some such. Let’s back up. 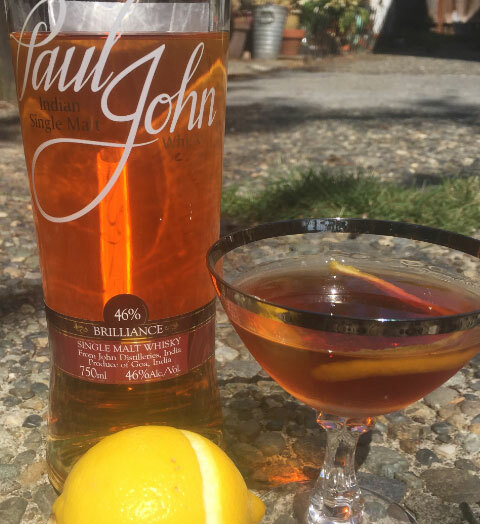 Recently (and yeah, don’t hate me cause I’m lucky like this), I received a bottle of Paul John Brilliance single malt whiskey. An Indian – maybe the Indian – single malt, it’s made from ingredients, including a special six-row barley, grown at Himalayan foothills, and aged for five years in the tropics of Goa, India. This tropical climate makes for a fast maturation, in American white oak. The end result has won awards all over the world already, but just recently become available here. 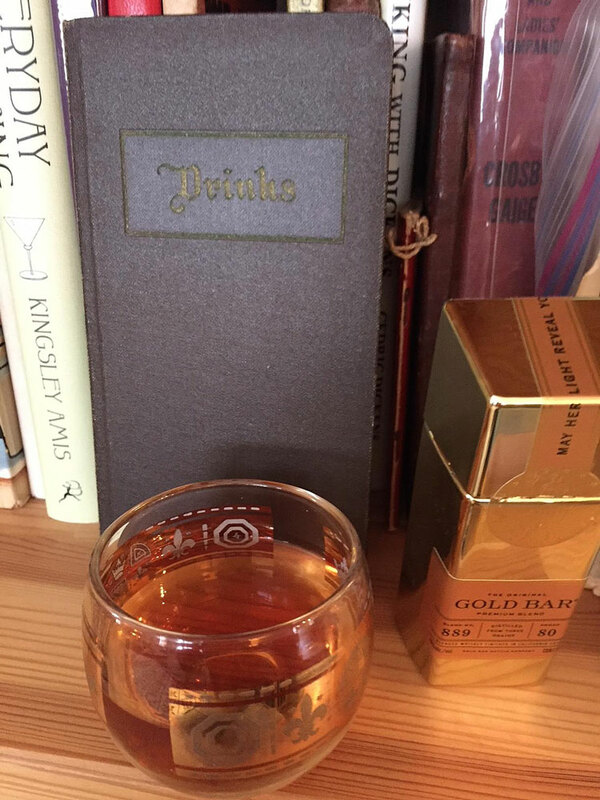 It’s a very distinctive whiskey, one that, by all rights, you should sip solo and let the demerara and barley fragrance tempt you and the spice and vanilla taste and intriguing cocoa finish with just a hint of orange linger (maybe a splash of water or a single ice cube for the second glass, just to see how it goes). But, if you’re me (and of course you aren’t, cause that would be an existential pickle that would be, oh, too much to go into now) or like me, you can’t stop at that, even with a whiskey of this level. No, you have to try it in a cocktail. And now I’ve gotten a little weird with pronouns. Let’s stop that. I decided on the Rob Roy, one of the legendary Scotch cocktails. A single malt and a Scotch are of course, at least cousins, maybe siblings, in the grand scheme of things. And I wanted a cocktail that would really let the Brilliance flavors come alive, and provide some proper cocktail partners – here, the otherworldly Carpano Antica vermouth, and Angostura. The end result is dreamy. Any time of year. 1. Fill a cocktail shaker halfway full with cracked ice. 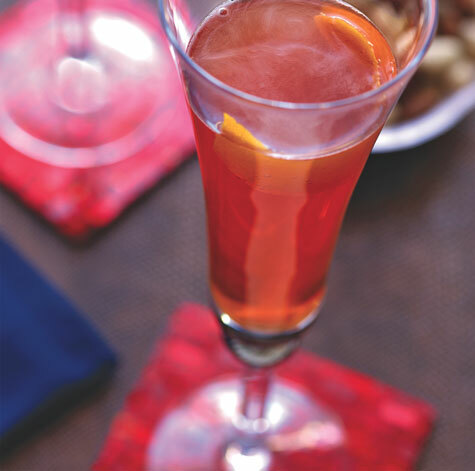 Add the Brilliance, vermouth, and bitters. Stir well. 2. Strain into a cocktail glass. Garnish with the lemon twist. I’m not usually a sugar-on-the-rim guy, or a salt, or any of that jazz. Unless it’s done really well. Which it sometimes is! So now I’m contradicting myself. But also sometimes it’s done poorly, with the spice in question all on the inside of the glass and overwhelming the drink’s flavors, instead of complementing them. But once in a while, I do go that route, especially when I’m making a drink that suggests it where the drink is also from Crosby Gaige’s Cocktail Guide and Ladies Companion, my favorite book published in 1941. And if that wasn’t enough, this has a fantastic name. If you can name a drink this swell-ly, then let me know about it, and I will make one of these for you. Really! 1. Put a good helping of sugar (but not a mound or anything) on a saucer. Wet the outside rim of a Champagne flute (I used a lemon slice, but you could also rotate it through water on a saucer–just don’t get any water in the glass). 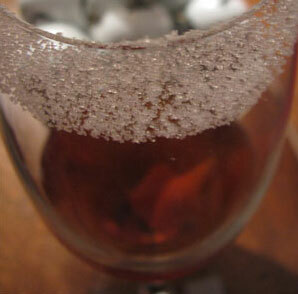 Carefully rotate the outside rim of the glass through the sugar–but you don’t want to get any sugar on the inside. No, no, not a grain. So, be careful. 2. Fill a cocktail shaker or mixing glass halfway full with cracked ice. Add the brandy, curaçao, and bitters. Stir well. 3. Strain the mix into the flute. Slack up.